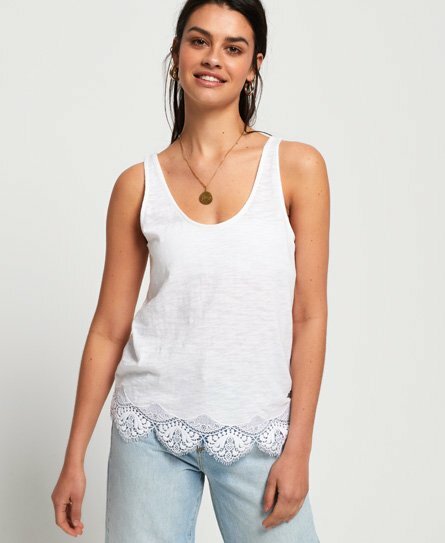 Superdry women's Morocco lace hem vest top. This vest top features a lace detailed hem and is finished with a metal Superdry logo badge above the hem. Perfect for the warmer weather and will look great paired with shorts.